Share our blog on your social media and follow our twitter! Now that you know all about this issue in society, please share our blog and follow our twitter to help spread the word. This is a growing issue and students are developing all of these eating disorders and problems earlier and earlier due to social media and what they see all the time. Show that there is no specific body every girl should have. Every body is beautiful and though we can’t stop photoshopping all together, we can help adolescents compare themselves to these fake pictures and see the real in themselves. In order to bring awareness to this issue and tell students about this before they body shame themselves, we have made a curriculum for three days that we will teach to students. The Students will be females (ages 17-18) in High School. We will explain how easy it is for advertisers to photoshop and that you should never compare yourself to photoshopped images or other bodes in general because there is no real perfect shape or size every female should have. We also want to bring awareness to the fact that adolescents develop eating disorders and body dissatisfaction due to photoshopped images or from a view point that all bodies must look a certain way. We want to show how this is false information portrayed by social media is not acceptable and you should never compare yourself to pictures of others, but must love yourself the way you are. Only longitudinal research capable of testing that negative body image is developmental with long exposure increasing likelihood of identification of thin ideology. 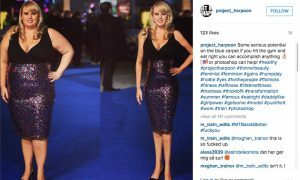 A lot of campaigns and bloggers are trying to bring awareness to eating disorders and body dissatisfaction due to photoshopped pictures on social media. We want to support them as well! So help bring awareness and visit these websites to learn more about these disorders and ways we can stop them as a society. Here are some hotlines you can call if you want someone to talk to or are going through a lot. If you are suffering from body dissatisfaction or any sort of disorder you can call these numbers to work though this problems. Someone is there for you and it will be ok. Check out our twitter page that brings more awareness to eating disorders and effects of photoshopping on people in general! take a QUIZ to test your knowledge on body image! Take our simple (10 question) Buzzfeed quiz to test your knowledge on body image. You might be surprised by the answer! A lot of adolescents develop eating disorders due to reading social media and viewing so many people that can be looked at as perfect. Then young women look at themselves very poorly and think that they have to look a certain way. By having these thoughts cross their mind, it makes them think that they must look like the usual skinny model so they try to change how they look constantly to fit societies view of perfect. When developing eating disorders they not only change how they look in a very unhealthy manner, they also change how they view themselves and think they can never truly be beautiful. This is a problem that needs to changed within society so that young women do not look down on themselves so much. All bodies should be accepted within society. Here is a very good video that really shows how adolescents are affected by photoshopped images and how eating disorders are created. Here are a couple images that are very obviously photoshopped that have been out in the public to see. 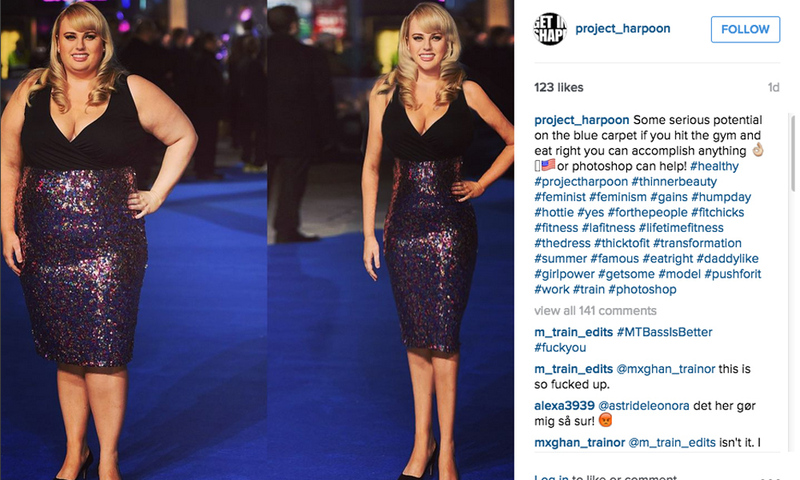 Not just every day models are photoshopped, but celebrities as well! Complete Body Makeover and how exactly photoshopping is done!